A 30-year-old man is in police custody after a collision on the A27 this morning (Thursday), police confirmed. 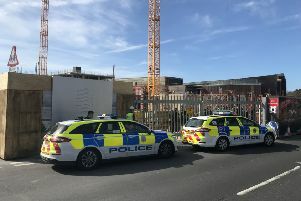 Police said emergency services were called to the incident at Fishbourne roundabout near Chichester at around 8.50am. A police spokesman said: “The collision involved two vehicles and the westbound carriageway was closed until about 10.30am. According to travel reports, the collision involved a car and a van and blocked one lane on the A27 westbound from Fishbourne roundabout this morning, causing severe delays.